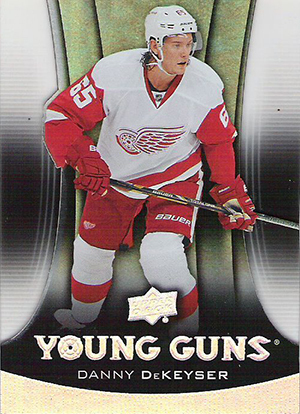 Upper Deck is known to slip in an unannounced surprise every now and again into their products. 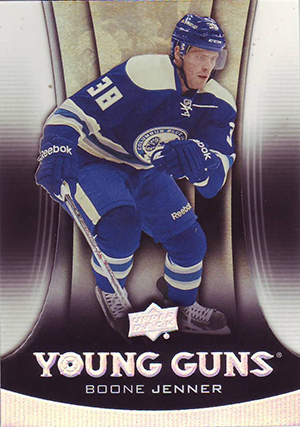 That's the case with the 2013-14 Upper Deck Series 2 Hockey Acetate Young Guns. They weren't hinted at in the lead up to the second series release, but they're definitely out there. Collectors on Twitter started reporting them early on release day. When asked, Upper Deck is keeping quiet. For now, at least. @TheRealRGM81 our lips are sealed for the time being. So let's look at what we do know about the 2013-14 Upper Deck Acetate Young Guns variations. 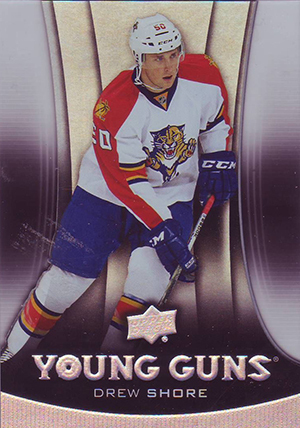 From what's surfaced on eBay, all so far have been from the Series 1 Young Guns. 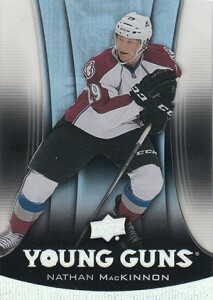 Numbering on the back mirrors those in the base set, so they should be considered a parallel. 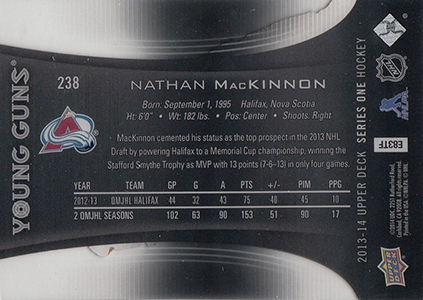 Acetate versions of Series 2 players have yet to pop up so they may not be included in 2013-14 Upper Deck Series 2 Hockey. 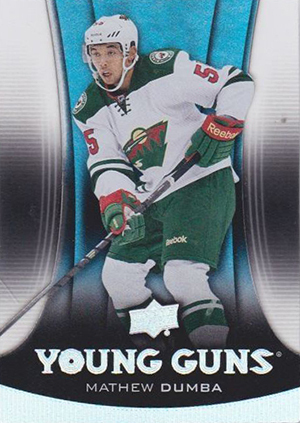 The Acetate Young Guns are not serial numbered. At this point, print runs are purely speculation. As for insertion rates, they're tough but also unknown for now. 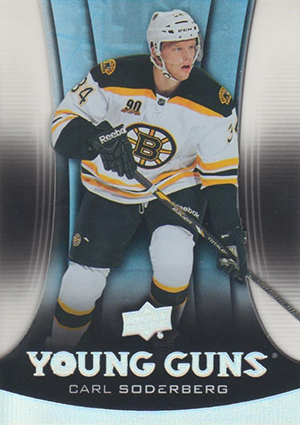 While Upper Deck did state that acetate cards are a case hit in their preliminary info for 2013-14 Upper Deck Series 2, this also includes the 28-card Rookie Breakouts set. Each of these cards is numbered to 100. 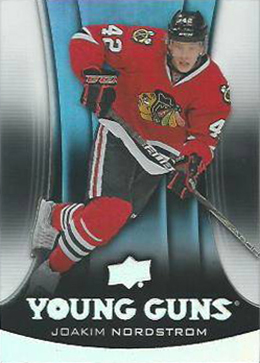 Below is a gallery of some of the Acetate Young Guns that have surfaced. 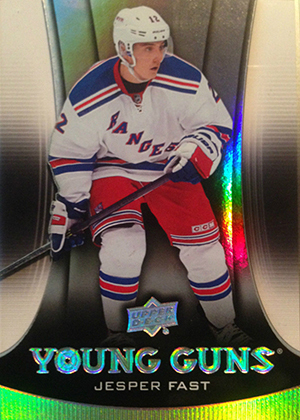 We'll add further details if and when they're confirmed by Upper Deck. Please note this gallery is not complete. 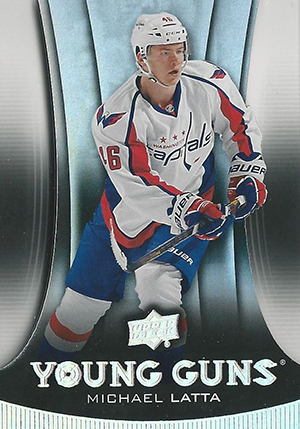 Definitely cool cards but no way should people on ebay expect to get High Gloss /10 prices for a card that was most likely printed much more than 10 copies. 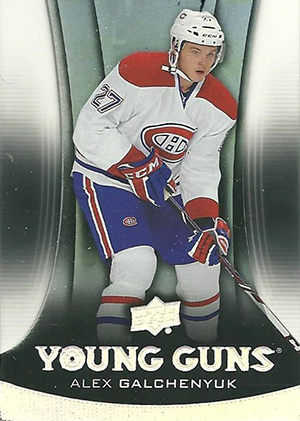 I bought one box of Series 2 and got a Lucas Lessio acetate, a beauty. 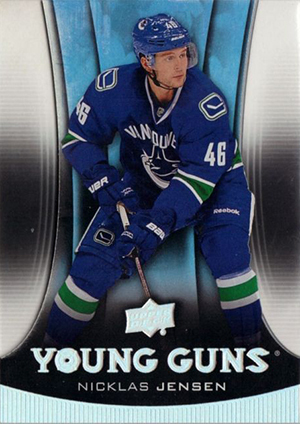 If I was in it for profit I’d sell it for the ridiculous prices before people realize they’re not that hard of a pull, but it’s a definite keeper for me even if I’ve never heard of the guy.